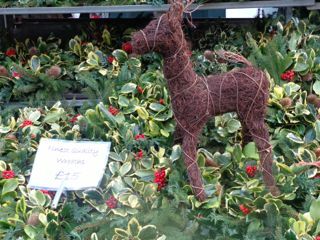 It might seem odd that my last ‘favourite’ thing in my Twelve Days of London is a flower market, but you have to remember that, when J and I flew out of Calgary, we left behind temperatures of minus 30C with windchill. 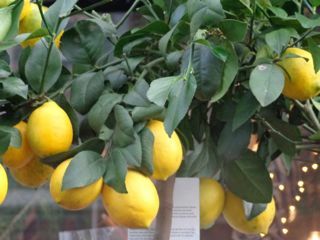 To be faced with such colour, and a LEMON tree – an actual real lemon tree – it was a true feast for the eye. 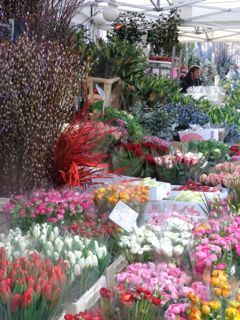 The Columbia Road Flower Market operates every Sunday from 8am until 3-ish. And it doesn’t just sell flowers. You want a Christmas tree? They’ve got Christmas trees! The exterior of the castle and the surrounding parkland is just as stunning as it appears on the TV show. Unfortunately, you’re not allowed to take pictures inside. 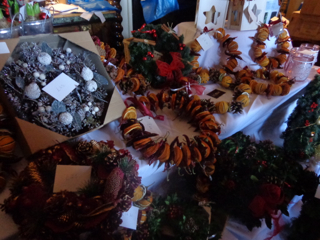 Also, unfortunately, the Christmas Fair was held in the downstairs rooms, so we didn’t get to see them set up as they are on TV – and they were very crowded – but we were able to view the upstairs rooms. Was it worth it? 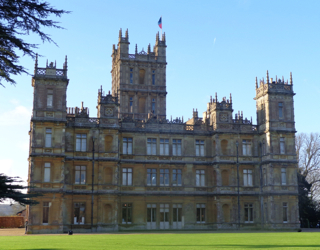 If you’re a Downton Abbey fan, definitely. Even if you’re not, it’s a beautiful house. And if you’re a fan of Ancient Egypt, you will know that it was the fifth Earl of Carnarvon who discovered Tutenkhamun’s tomb along with Howard Carter back in the 1920s. My one piece of advice; if you’re interested in seeing the rooms as they are portrayed in the TV show, don’t visit when there is a fair of any kind running. Save your visit until you can take your time and savour the rooms as they should be viewed. I may not have attended Hogwarts, but my school did have ‘houses’. Rather than being sorted by a magical hat, our gym teacher lined us up and counted down the row, “Smith, Montgomerie, Crawfurd, St John.” I found myself in St John; our colour blue and emblem the Maltese Cross. I couldn’t have told you anything about the history of St John, although the fact that local neighbourhoods boasted names like Temple and Knightswood should have given me a clue. 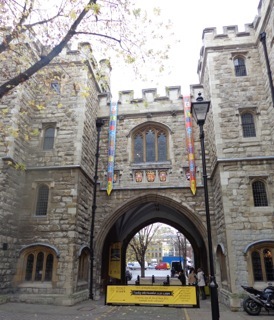 So when J led me to St John’s Gate in Clerkenwell last week, and told me we were going to visit the Museum of the Order of St John, I was excited to finally learn something about the history of my house from (cough) all those years ago. Briefly, in 1080, monks under the leadership of Brother Gerard built a hospital in Jerusalem to care for pilgrims in the Holy Land. Called Hospitallers, they cared for everyone, no matter their faith. With the coming of the crusades, the order was militarized and became known as the Knights of the Order of St John of Jerusalem. Over the next few centuries, following defeat to Muslim forces, the order retreated first to Cyprus, then to Rhodes then finally to Malta. When the Templar Knights were forcibly disbanded, their wealth was transferred to the Knights of St John. They remained in Malta until the island was lost to Napoleon in 1798. 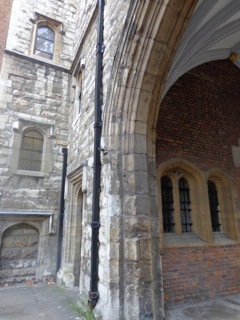 In 1140, the Priory in Clerkenwell became the English HQ of the Order of St John. Following the Dissolution of the Monasteries under Henry VIII in the 1530s, the priory was seized. For a while it housed the offices of the Master of Revels – who licensed plays, including Shakespeare’s – then a coffee-house and finally a pub which Charles Dickens used to frequent. The modern order of St John came into being in 1888, its principal charity in the UK being the St John Ambulance (to teach first aid to the general population). Providing medical care in both world Wars, they also returned to their roots in the Middle East by founding the St John Eye Hospital in Jerusalem which still exists to this day. 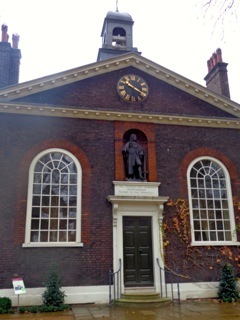 Like Charterhouse, which I talked about a few days ago, the Museum of the Order of St John is a hidden gem of a place. It’s open to the public Monday-Saturday, from 10am-5pm, and entrance is free. Guided tours are available Tuesday/Friday/Saturday at 11am and 2.30pm on a first come, first served basis, with a donation of 5GBP is suggested. Every time J and I go back to London, we try to explore a ‘new’ area. Although this year our focus was on Spitalfields, Clerkenwell is a fascinating district and I don’t doubt we’ll be back again to explore it in more depth. And next time you’re at a hockey game or football match, and see St John Ambulance personnel in attendance, take a moment to think about their 1,000 year history. The first building in this location was a Tudor Palace, and it remained a royal palace for many years, housing three queens, including Catherine of Braganza, the wife of Charles II. Extended over the years, it fell into disrepair and was demolished in 1770 to be replaced by the present Somerset House, designed by architect Sir William Chambers, and built to house the Headquarters for Offices of State, especially the Navy and Taxation. During the Christmas Season, the famous Piccadilly store Fortnum and Mason takes over one of the ground floor wings to provide a beautiful shopping arcade. Fortnum and Mason was founded in 1707 by footman William Fortnum who sold candles made from wax stubs left over from the Royal Household. 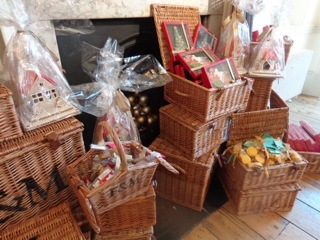 Over the years F&M became famous for their travelling food baskets, and sent over 10,000 Christmas puddings to the Western Front every year during WW1. 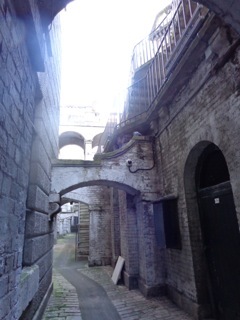 Part of the tour of Somerset House. 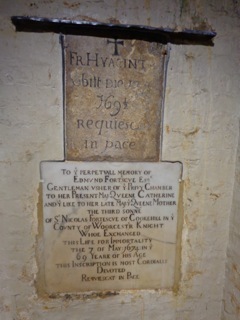 Tours of various parts of the building that are normally closed to the public take place on Tuesdays at 12.45 and 14.15. Tickets are only available in person on the day and cannot be booked beforehand. For more information, please click here. When Somerset House was built, the Thames was much wider – there was no Embankment – so boats sailed right up to Somerset House. Nowadays there is a small museum where the boats docked, with audio-visual displays depicting the evolution of the buildings on that site from earliest times to present day. 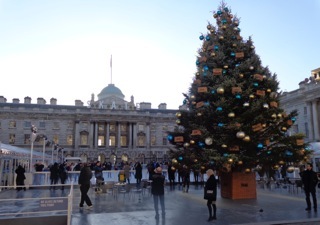 If you are interested in visiting Somerset House, please click here for more details. 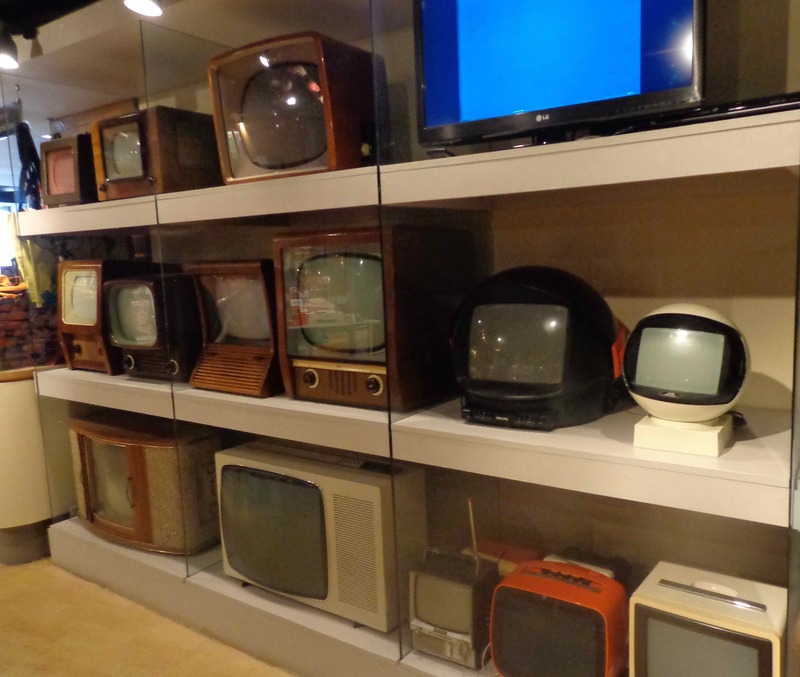 Tucked away in a mews in Notting Hill, you’ll find the Museum of Brands, a gem of a trip down memory lane, opened by consumer historian Robert Opie in 2005. He began his collection in Inverness in 1963 when he decided to keep the packaging on his packet of Munchies instead of throwing it away. 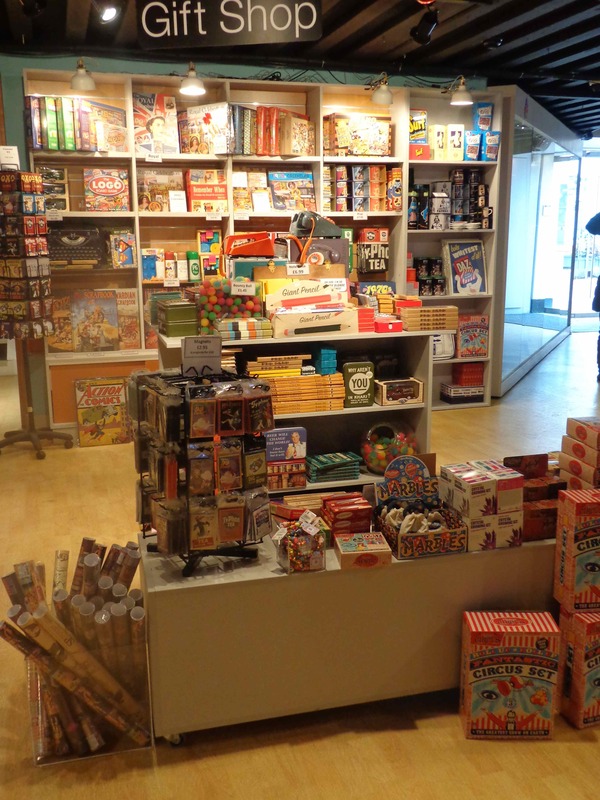 Now, the museum boasts a fabulous collection of consumer goods and packaging from the 19th century up to the present day. If the name Robert Opie isn’t familiar to you, you’re bound to have seen his ‘Scrapbooks’ of life over the past 100 years in bookstores in Britain and abroad. Gift Shop Museum of Brands. For students of marketing, it’s a fascinating lesson on the importance of branding. Trace the evolution of a bottle of Johnstone’s baby powder, or a tin of Tate & Lyle syrup, or tin of Crosse and Blackwell soup, or Cadbury’s chocolate bar, down through the decades (or centuries!) and you’ll discover the essential brand doesn’t change. This is a fun way of learning history. When were some of your favourite sweets invented? 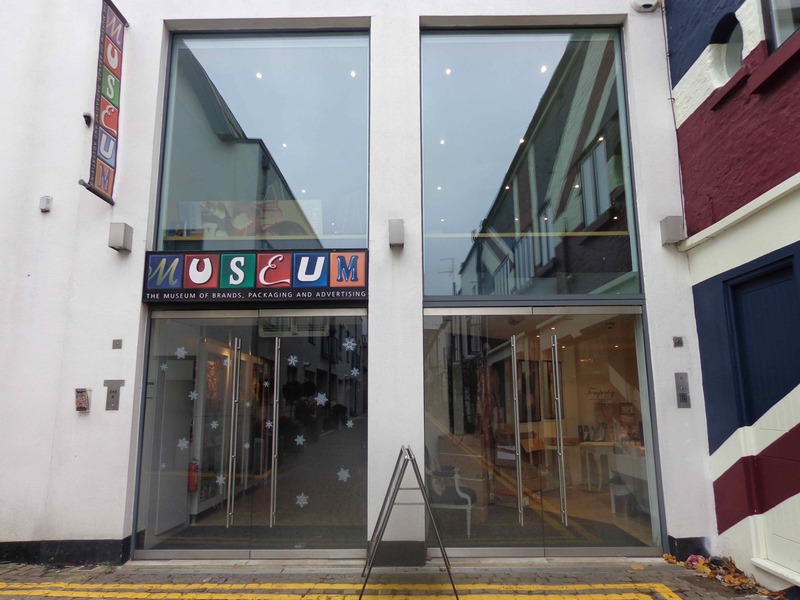 For details on the museum, its location and opening hours, please click here to check out their website. 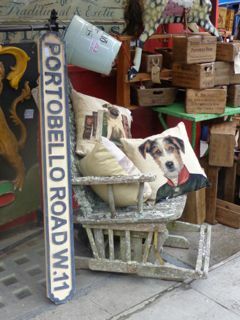 And afterwards, why not take a stroll down Portobello road, a mere stone’s throw from the museum. All and all, a lovely day out. 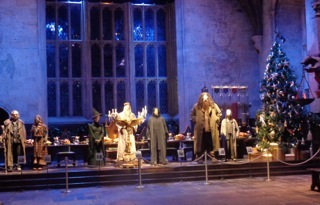 If you’re visiting London in December, and you’re a Harry Potter fan, then you HAVE to make the trip out to Watford to visit the Harry Potter Studio Tour to see The Great Hall all decked out for Yule. London Euston to Watford Junction: Trains leave from Euston Station to Watford Junction, but be aware there are two possible lines to take; Midland and London Overground. You want Midland. Midland takes approximately 20 minutes while London Overground takes 50! Watford Junction to the Studio: Exit the station and turn left into the bus park. You can’t miss the bus stand – and the bus itself is painted purple and covered with pictures from the movie. It costs 2GBP per person and takes around 10-15 minutes. The bus leaves every 20 minutes. Timing: You want to give yourself at least 3 hours to see everything on the tour. Some people do it in two hours, but that’s rushing it. And don’t plan anything ‘timed’ (eg theatre) for that evening. Once you’re ‘in’, you can stay as long as you want, so take your time and enjoy. If you’re travelling by public transit, I would suggest you book a tour for around 11.30am to give yourself plenty of time to get the train, make connections and exchange your online booking voucher for tickets when you get there. If you’re early, the cafe serves great snacks and meals, and of course the shop is amazing! Everything Potter you can dream of is there! First of all, what the tour is not. It’s NOT a theme park. (Two girls sitting beside me in the cafe were surprised there weren’t any rides!) 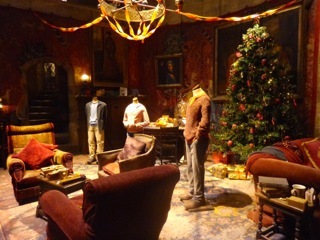 This is a studio tour of the MAKING of the films where you get to see the genuine sets, costumes and props up close. The first soundstage walks you through the sets; the Great Hall, the Gryffindor common room, The Weasley’s kitchen etc., and also shows you how they create snow and fire in movies. 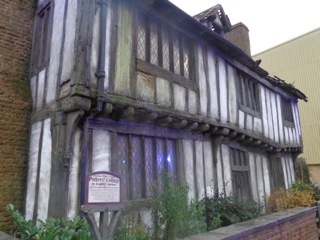 Outside, you see the exterior of 4 Privet Drive, the Knight bus, the Potters’ house, and the bridge at Hogwarts. It’s also where you can sit and have a Butterbeer – or just regular coffee and snacks if you’d prefer. I had to try the Butterbeer – which I enjoyed! Especially with fake snow falling around me. 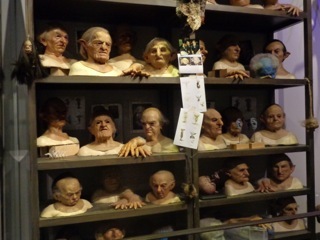 Then it’s back inside to see Diagon Alley and all the models, prosthetics, wigs, animatronics etc they created for the films. 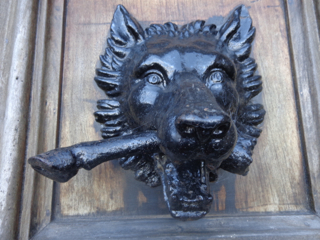 There’s even a full size Hippogriff, so make sure you bow politely to him as you pass by. I loved the tour and could have spent all day there. My only regret – that I booked the 1pm tour and had to be back in town for a theatre show at 7.30pm, so I was constantly watching the clock. Is this suitable for very young children? Probably not. But a child (of any age!!) who is into Harry Potter and has seen the films will love it! 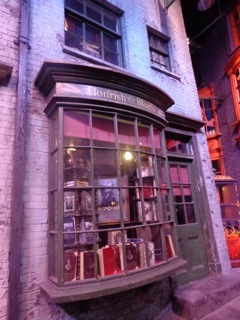 For the Studio Tour official website, please click here. Tucked away, a 20 minute bus ride from the city centre in Shoreditch, is one of my favourite London museums – The Geffreye Museum. 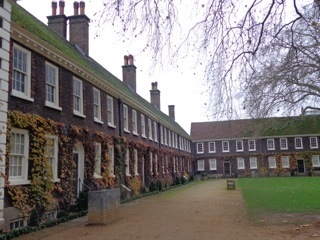 Built by Sir Robert Geffreye in 1714 as an almshouse, it was turned into a museum, focusing on the home and domestic life of the ‘middling sort’, in 1914. It’s a glorious oasis of calm and tranquility in the heart of a busy neighbourhood. Locals who live and work in the area often come here to enjoy a picnic in the grounds of this beautiful building. Spread out the length of the main block are middle-class living rooms, ranging from Elizabethan to Victorian times. The exhibition continues downstairs with more rooms featuring our evolving lifestyle throughout the 20th century. 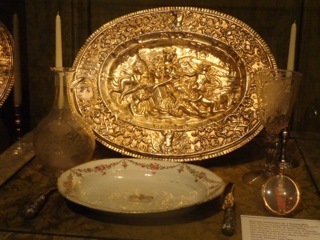 Although I’d visited the Geffreye before, I wanted to go back to see the rooms decorated for Xmas – and it was a treat. 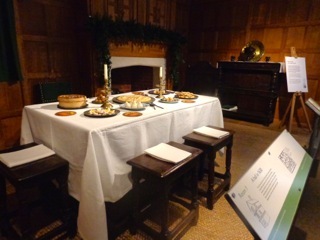 First off was the Elizabethan room in a home ‘over the shop’. Panelled in rich golden oak with green curtains at the windows, this was the room where the household gathered to eat, socialise and entertain, a fire burning in the grate. With the walls and mantlepiece decorated with greenery for Christmas, the table is laid for a feast. But look carefully. Disguised as hard-boiled eggs and strips of bacon are sugar treats! Over the next few centuries a change started to take place in the middle class; home and workplace became separated. 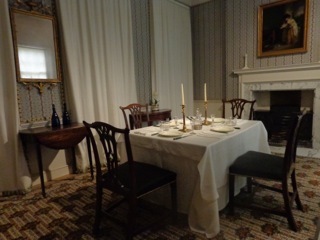 Further division occurred within the home itself; instead of one great room for all social activities, these were separated into dining rooms and parlours. Also, there was a growing distinction (and separation) between the family and their servants. Interesting to note, too, how little Xmas decoration there was during this period. A hangover from the Puritan era perhaps? 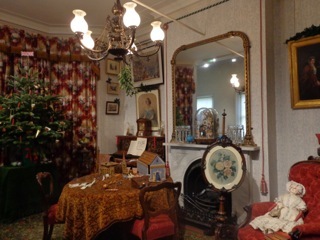 Victorian room decorated for Christmas. Geffreye Museum. Downstairs, we enter the 20th century. 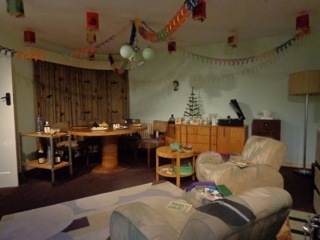 This room depicts the 1950s. This was the era when my parents bought their first home, so there are some elements here (the paper chains hanging from the ceiling, a miniature artificial tree) which I recognise from my own childhood Christmases. Behind the museum you’ll find a collection of gardens matching the time periods of the rooms inside. 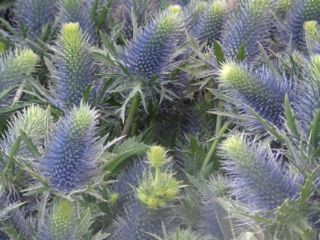 Our gardens have also evolved over the centuries just as much as our interiors. 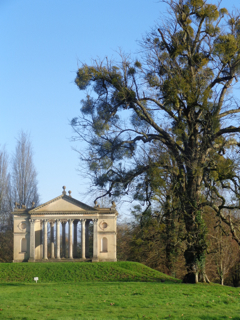 Unfortunately, the gardens are not open to the public during the winter months. And the purpose of the great room appears to have come full circle. Once again, in the 21st century, common modern home design is to create one large open-plan space on the main floor where the family eats, socializes and children do their homework together. The more things change, the more they stay the same? During your visit, make sure to stop and have a meal or snack in the museum’s cafeteria. Backing on to the gardens below, it’s a lovely, bright, open space. The food is great quality – I dare you NOT to have a dessert – and very reasonably priced. I chose to have a cup of ginger and lemon tea (along with a delicious chocolate brownie!) 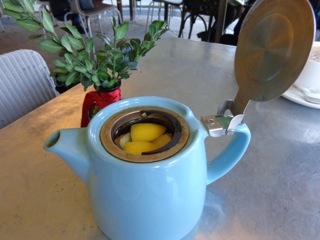 and was delighted to be presented with a small teapot holding slices of fresh ginger and lemon, a tiny dish of honey on the side as sweetener. That’s something I’ll be trying at home. Entry to The Geffreye Museum is free and it’s open most days except Monday. 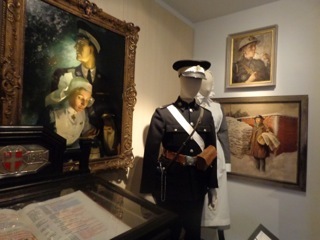 For further details on the museum and how to get there, please click here. I write fiction with a focus on women's experiences during the Second World War and the early 20th Century Canadian West. In 2017 I will be blogging once a week on one of my three passions: history, travel or writing. The rant's of a curmudgeon and stories of a boring life, cause I can Dammit.